Zimbabwe is not a typical place people think of when they are considering living abroad, but it is a country with spectacular beauty that is definitely worth checking out if you are a nature lover. 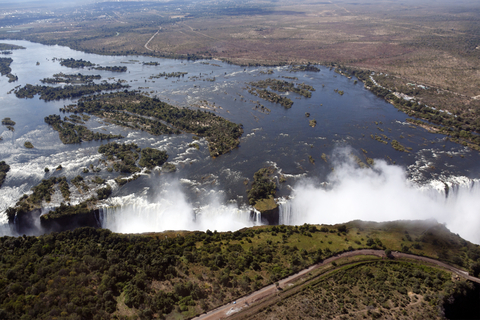 I went to visit Victoria Falls during my days living in South Africa and had great food and good times. Below is a selection of the best resources for searching for an apartment in Zimbabwe either for short term or long term. Your best option will be to check the classifieds and real estate agencies. You can often find some hidden gems there. Property 24: Property 24 is a good reputable site for searching for apartments to rent (or “let” as they say in this part of the world) in Harare, Bulawayo and other cities in this country. Pam Golding: Pam Golding properties tend to be on the higher end of the budget spectrum. If you have some cash to spend, this site should be your go-to point. There you have it. The best places for finding an apartment in Zimbabwe. If you are interested in working in this country, be sure to check out my article on how to find a job in Zimbabwe as a foreigner. If you are single and are looking to spice up your dating life, check out my reviews of the best dating sites in Africa. Enjoy your stay!